Unicode announced more than 200 new emojis coming out in July. A teaser of what’s to come. Prepare for the next generation of emojis. 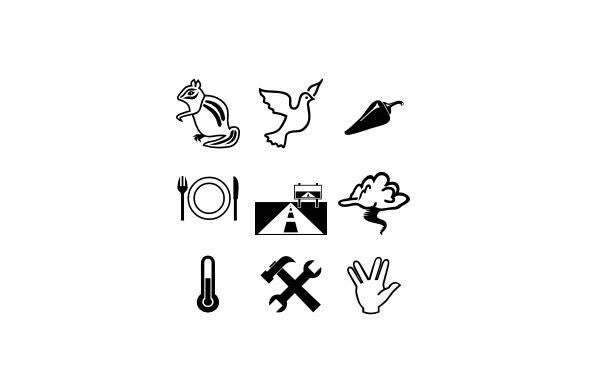 Unicode, the group that governs technical standards for the little pictures and symbols, announced on Monday that it’s releasing about 250 new emojis this summer. And if the sample above is any indicator, they look sophisticated and fresh. It’s a sensitive subject, though, because everyone has different emoji priorities. Emojorities? People of all races (not pictured at left) have argued for increased depictions of racial diversity. Miley Cyrus has thrown down. There are also a number of tech items on the list including “Pocket Calculator,” “Printer,” “One Button Mouse,” “Two Button Mouse,” “Three Button Mouse,” and “Black Hard Shell Floppy Disk.” Cutting edge! The update is coming in July. It probably won’t solve every concern people have about emojis, but as they become a more high profile medium (note above that there’s a dedicated emoji button on the keyboard in iOS 8), the Internet will presumably continue to be vocal about what it wants from its tiny pictograms.